If you read the words ‘Perth’, ‘Thursday 13th June 2013’ or ‘Oliver’ do they mean anything to you? I am guessing not. However to me, they bring to mind where and when my baby cousin was born. 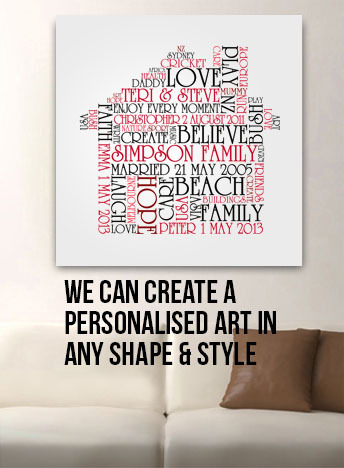 That is the guiding principle behind personalised word art. Personalised pictures made from words is a new craze which is sweeping through the art world due to the originality that they bring. Living in a world with a population of nearly 7 billion people has created a desire in us to be unique, especially in the art work that we display in our houses. Ask yourselves this: Do you want to decorate your home in a way that displays your personal style? Do you want the artwork on your walls to have personal significance instead of being a run-of-the-mill replica? If the answers to both of these questions is yes, then look no further than Beyond a Word. Beyond a Word is a company that is responsible for creating bespoke art work that is designed by you to complement your own personal style and your home décor. 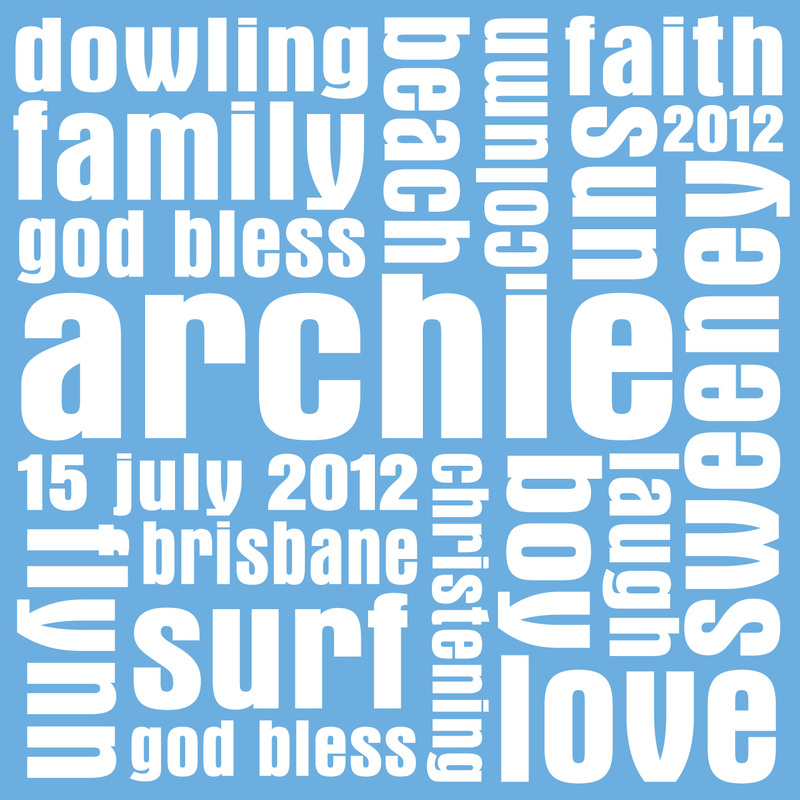 The idea behind creating personalised pictures from words is that you are able to use these words to summarise a significant event or what a loved one means to you. It is no wonder that Beyond a Word is taking the world, not just Australia, by storm with its personalised pictures made from words. 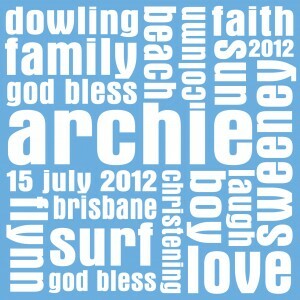 All of their personalised word canvases are handmade in Queensland using the finest materials to ensure that your finished canvas is completed to the highest standards, so it comes as no surprise that Beyond a Word has been featured in many publications including Australian Vogue, People and Real Living. 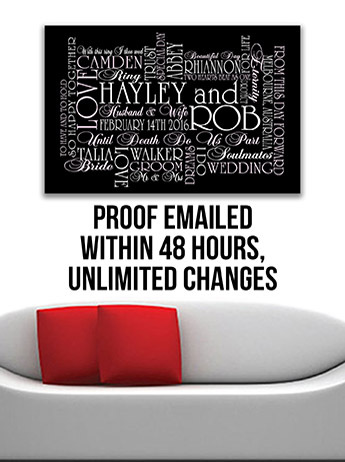 The high quality and cherished memories attached to Beyond a Word’s personalised word pictures ensures that you are able to hang them in your living room with pride. 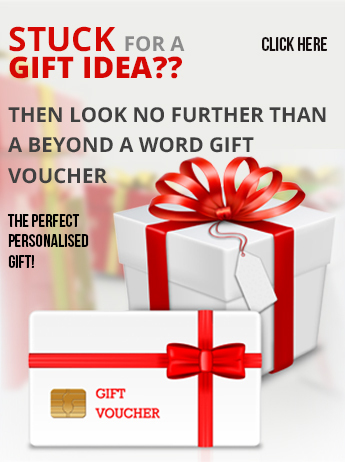 If you want a personalised picture created from words, then look no further than Beyond a Word – the glowing customer feedback speaks for itself.